Not sure what’s been recalled, withdrawn from the market, or had safety updates? 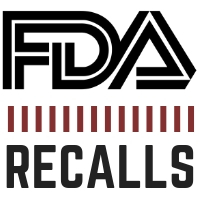 Catch up on the US Food and Drug Administration’s (FDA)’s recalls and safety news from this past week. For microbial contamination, Silver Star Brands, Inc. is voluntarily recalling 8 products—6 products for humans (4 Native Remedies and 2 Healthful Natural), and 2 PetAlive products for pets. Each recalled product is an individual 2 oz. oral spray in amber bottle that was manufactured at the King Bio, Inc. facility in Asheville, NC. All recalled products were distributed nationwide through wholesale, retail and online sales. While possible microbial contamination can result in infections that may require medical intervention and could be potentially life threatening to certain individuals and animals, the company has not yet received any reports of adverse events related to this recall. To view the lots being recalled, check out the US Food and Drug Administration’s (FDA’s) statement. The FDA has released a draft guidance entitled “Selection of the Appropriate Package Type Terms and Recommendations for Labeling Injectable Medical Products Packaged in Multiple-Dose, Single-Dose, and Single-Patient-Use Containers1 for Human Use Guidance for Industry” for industry and staff regarding the appropriate package type and terms of medical products. Specifically, appropriate selection of appropriate package type terms and selection of appropriate discard statements for injectable medical products for human use, packaged in multiple-dose, single-dose, and single-patient-use containers are provided by the guidance. A drug, a biological product, or a combination product assigned to CDER, CBER, or certain combination products assigned to CDRH can also include these containers. Additionally, the FDA’s revised definitions for single-dose and multiple-dose containers as well as for the new package type term single-patient-use container are provided by this guidance. For more information on this draft guidance, check out the FDA’s statement.